New research suggests that one of our most antioxidant-rich nuts, the pecan, may be even better for us than we first imagined. One of the few tree nuts indigenous to North America, pecans are vitamin and mineral powerhouses, providing thiamine, folate, magnesium, calcium, potassium, and zinc, while also containing cholesterol-lowering omega-6 and omega-3 fatty acids. They’re loaded with antioxidants and an oil content containing surprisingly high levels of oleic acid – the same heart-healthy monounsaturated fatty acid found in olives. Additionally, laboratory tests reveal that gamma-tocopherol, the form of vitamin E found in pecans, has been shown to inhibit prostate cancer cells while not affecting healthy tissues. Luis Cisneros-Zevallos, Ph.D., an associate professor of food science and nutrition at Texas A&M University, is nearing the final phase of a two-year study into the pecan’s anti-inflammatory properties. Results so far have shown that pecans decrease fat accumulation in fat cells and reduce inflammation in cells, which makes them potentially useful for the treatment of obesity, and even the prevention of diseases such as cancer. Stress and disorders can lead to high levels of free radicals in the body. These are reactive molecules that contribute to tissue damage. When free radicals increase, they may induce inflammation, which Cisneros-Zevallos calls “the mother of all big problems you will encounter in diseases, like diabetes, cancer, and Alzheimer’s.” Consuming antioxidants, then, such as those provided by pecans, can reduce levels of these free radicals, and in doing so, reduce inflammation, helping prevent these diseases. Yet pecans, like most nuts, are also high in calories (a whopping 684 calories per cup! ), and for this reason those who watch their weight may want to eat them in moderation. The American Heart Association recommends four to five servings (â…“ cup or 1.5 ounces per serving) of nuts, seeds, or legumes per week as part of a balanced diet, although researchers performing laboratory studies at the University of Massachusetts Lowell found that eating pecans may play a role in protecting the nervous system. In any case, the Mayo Clinic suggests raw or dry-roasted nuts rather than those cooked in oil, and adds that pecans and others nuts make an excellent substitute for saturated fats, such as those found in meats, eggs, and dairy products. Things are looking up, however. 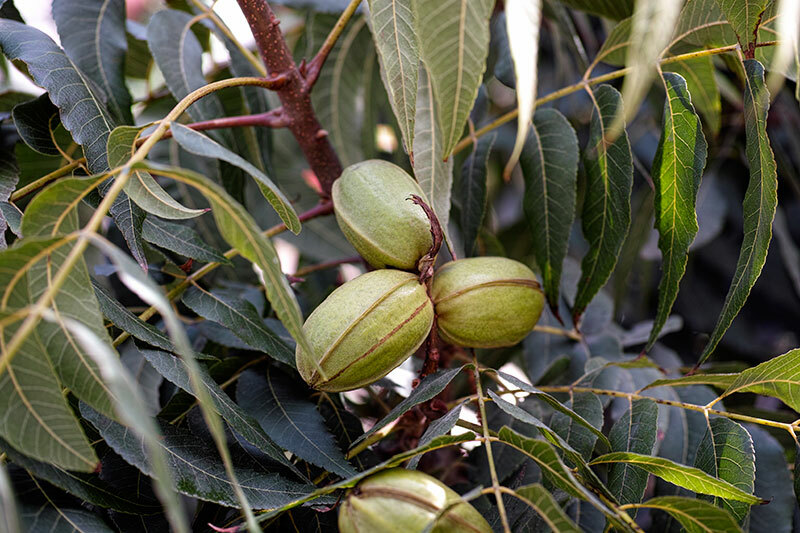 In May 2016, the U.S. Department of Agriculture announced the approval of a Federal Marketing Order that will, among other things, provide funding for the organized promotion of pecans similar to that for pistachios, almonds, and other tree nuts. To meet the expected increase in demand, growers across the country have planted thousands of acres of new trees in recent years. While the exact amount of new acreage is nearly impossible to determine simply because it’s not clear how many of these plantings were intended to replace or rejuvenate existing orchards – and also because of the unclear distinction between managed orchards and hobby farms – estimates place the number for Georgia, alone, at roughly nearly 25,000 new acres over the past five years. And it’s much the same in the Southwest. Ditto for the Lone Star State, where Cindy Wise of the Texas Pecan Growers Association says the nursery business is booming. Throughout the pecan belt, from Florida to California, there is a sense of optimism for what the Federal Marketing Order can do for the industry. Not surprisingly, these are already some of the nation’s top pecan producing states. The USDA reports that for 2015, leaders in utilized production included Georgia (93 million pounds), New Mexico (73 million), Texas (35 million), Arizona (22.5 million), and Oklahoma (13 million). Throughout the pecan belt, from Florida to California, there is a sense of optimism for what the Federal Marketing Order can do for the industry. 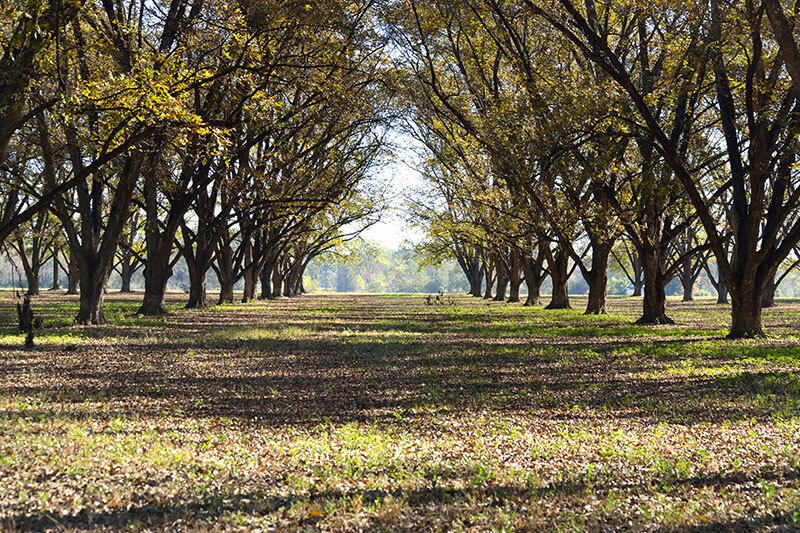 In addition to new plantings, growers everywhere are better managing existing trees, some of which have traditionally been neglected during periods of low pecan prices. As a result, the U.S. pecan crop could increase considerably in coming years – by as much as 50 percent, according to Wise, who also told me that such a surge in production would be sustainable thanks to today’s superior tree-management practices. 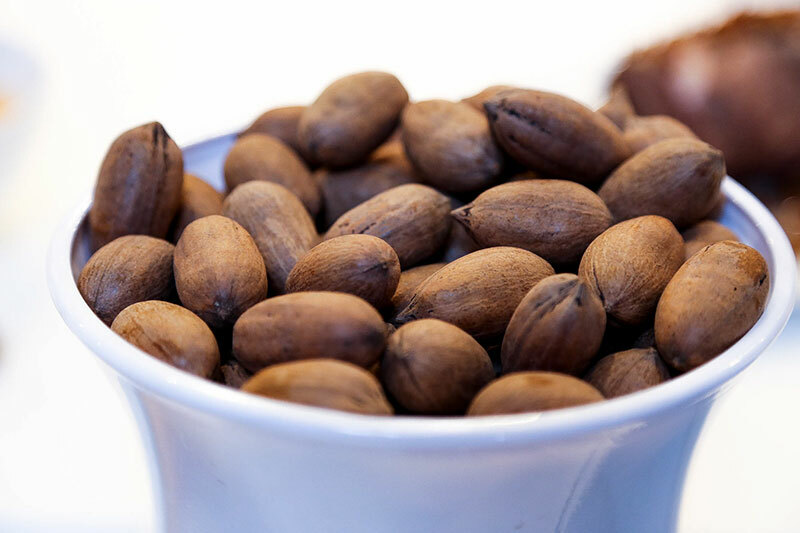 Hilton Segler, executive director of the National Pecan Growers Council, says that production could even exceed the banner year the industry saw in 2007, when in-shell exports to China surged to 22,000 metric tons, up from six thousand the previous year. Exports have risen more or less steadily ever since, although a myriad of market factors, including the value of the U.S. dollar relative to other world currencies, as well as the inherent, alternate-bearing tendency of pecan trees themselves – in which heavy crops one year are balanced by lighter crops the next – make future production and export values difficult to predict. Regardless, Segler says consumers could start paying more for these nuts in coming years. The danger, of course, is in overpricing pecans. Although many believe there is no substitute for this nut in a recipe that calls for it, consumers certainly have the choice of whether to buy nuts at all. Price the crop too low and there’s always room for growth. Too high, and bakers might modify their chopped-pecan recipes with a different nut, or avoid them altogether. Where is the threshold? “We’re getting pretty close to it now,” says one of the pecan growers I spoke to. The projections for increased pecan production underscore the need for better promotion. Simply put, the pecan industry needs more consumers for the anticipated surge in its product supply. This is one of the main reasons behind the formation of the Federal Marketing Order, which the industry believes will benefit growers with better prices, while also increasing public awareness about pecans, especially here in the United States. Alex Willson, chief operating officer at Sunnyland Farms, in Albany, Georgia, recently represented his company at the International Restaurant and Foodservice Show of New York, where he introduced visitors to pecans, many for the first time. “Some visitors would come up and they didn’t know anything about pecans,” Willson told me during a recent visit. We are considering establishing a 20 acre farm of Olive, melons, nuts in north eastern GA. We are interested in the articles Mod Farm offers on various crops.